A beautiful decor map of your favorite lake, such as Great Sacandaga Lake, Greers Ferry Lake, Lake Tahoe, Lake Winnipesaukee, Table Rock Lake, or Pickwick Lake, will look great hanging in your home, lake house or office. Makes the best Gift! Unlike most maps, There’s a tiny mermaid hidden in the waters which folks love to search for and some say she moves around! You'll love the waterfowl which are hand painted (touched up) on the canvas prints to give that original look and each map is hand signed by Leo. For a personal touch, you can even add a small star to the location of your lake house or special place and add a few words such as "Evan's Lake House, Est. 2014" or be creative. The signatured Ruby Meridian, waterfowl and vintage plane have a story that’s included in the signed Certificate of Authenticity. 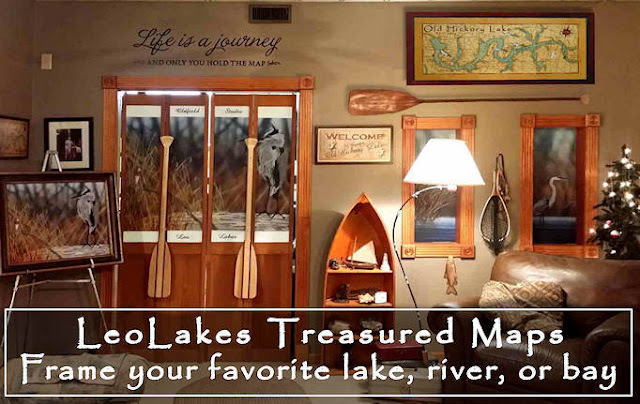 Leo Lakes treasured maps will make a cherished gift for that special someone. 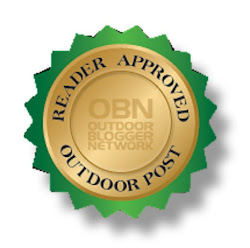 Visit my website to see more. 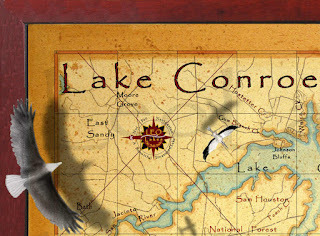 I have over two hundred lake, river and bay maps on my website that can be purchased right from the site, or I can do custom and personalized lake, river or bay maps, too. If you would like to see more and read about my treasured maps go to LeoMaps.com. As you can see, my maps make a great gift. To see more of my work, click here www.LeoLakes.com.